Well everything for Clave Eighteen is about ready to go. It is going to be an exciting event with lots of new faces as well as a diversity of unique programs. No matter if you are a newby or an experienced Spey fisher, there will be programs that will be of big interest. This year nine of the on-the water instructional programs will be conducted by women. A couple of them will have traveled from the East Coast to perform at our Clave. There will also be lots of free food. and a wide variety of spectacular Spey Gear to try on the water. (More about that in the May 7 issue of the Insider). 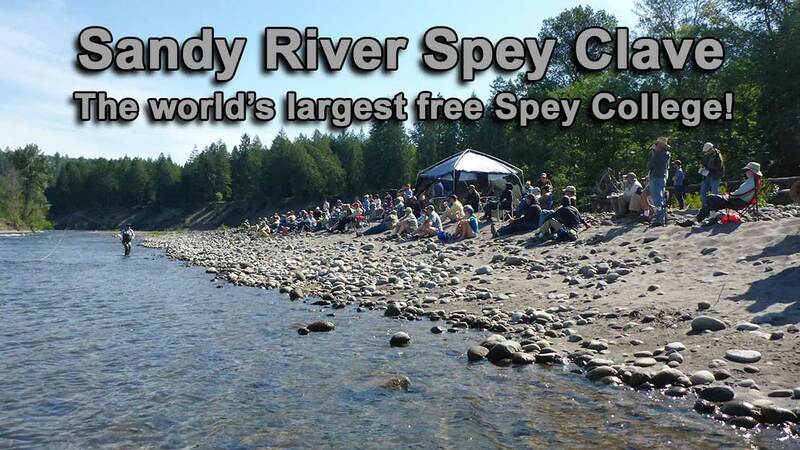 The full Agenda for Sandy River Spey Clave 18 is now set. Growing up in a small New England town some of my earliest memories are fishing with my Dad. He would take me with him to local Trout streams .At that point I was only allowed to sit on the bank and watch. I loved to look through his fly boxes at all the different patterns. I was admiring the size of the bugs, the delicate hackles on the dry flies and the colors of the streamers. My dad didn’t tie his own flies and of course I never asked where they came from or how the bug was made. As a kid, I never thought to ask the questions, I would love to ask him now. I got my love and passion for the outdoors from chasing my dad to the river. I am so grateful for those experiences and cherish those memories. Over the passing years I fished on and off. My husband Stark and I would take our five kids on adventures to the family pond as they were growing up. For our own adventures my husband and I would go out in the kayaks with a spinning reels and rods. We would paddle down the ponds in search of largemouth bass. He would always out fish me using rubber bait, while bombing the lillie pads for those explosive takes. I managed to do okay using a hula-popper. It was always so enjoyable to spend the summer evening together floating and dreaming. Fast forward a few years, with the kids leaving the nest I had a little more time on my hands. My husband had gone on a fly fishing trip with his brothers. He had a great time and thought this was something he defiantly wanted to do more of. I thought it was a great idea and wanted to give it a try myself in the spring. In the mean-time I wanted to learn more and start tying my own flies. I thought wouldn’t it be cool if I could tie the flies for him to fish with. That Christmas I was surprised with my first fly tying kit. I still have some of those first flies. They were big and ugly but I was doing it! They could only get better ….. That following spring we found an intro to fly fishing class, it was for ladies only. I signed up immediately. What a fun experience that was. I even landed my first brown trout on a fly rod. I still remember that fly. It was a Red Quill and it was during the Hendricks hatch. Talk about a life changing moment. In 2011 I was introduced to Jerry Jahn of Spey Casting North East. The rest as they say is history. I jumped in with both feet. Coming back weekend after weekend or whenever he had spare time. Oh and did I mention this was at the end of November? We were out almost every weekend that first winter. It took a while as I was still new to fly fishing and had so much to learn. I love that I learn something each time I work with someone. It may be about casting, fishing, and a place they have fished that I have only dreamt about or places in common. Since 2014 Jerry and I have been teaching two handed casting together. On weekends, when we are not teaching you can find us testing rods, fishing or even tying flies. We travel to do clinics from Long Island to Boston. 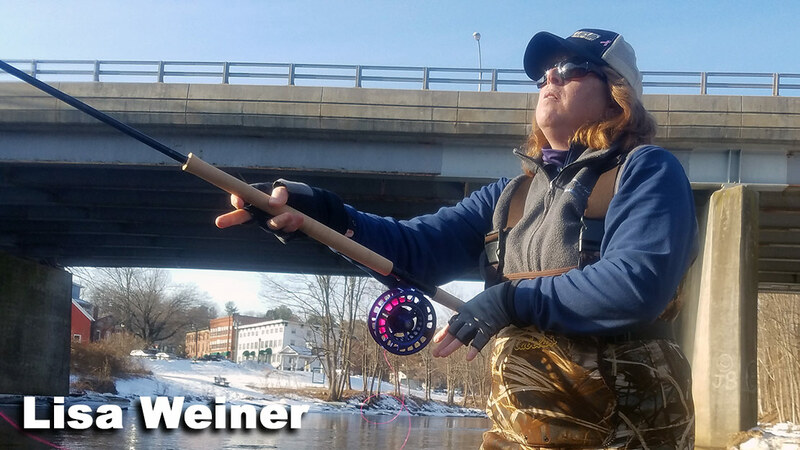 I’m also a licensed Connecticut fishing guide and a member of the Sage Pro staff. I have been truly blessed, by the great people that I have met on this beautiful journey. Some are no longer with us and will never be forgotten. I am thankful for my very patient and supporting husband Stark. He truly gets it and understands my passion and drive. I am also thankful for my partner and best bud Jerry. I don’t know what I did to get so lucky. Nancy, a former elementary school teacher, is a woman who loves to travel with flyrod in hand, and share her experiences with others.Born and raised in New Jersey, she fished for blue fish and trout while camping on family vacations.Always fascinated with the idea of casting a line, the opportunity presented itself in 2009, when she stepped into her local fly shop, Tight Lines Fly Fishing, and asked for a lesson.Andrew, who would later become her husband, gave her this lesson.On this day, she purchased her first fly rod and in that instant, her life changed. Since that day, she has discovered the purposeful life of fly fishing and Spey casting. Together with Andrew, they own and operate Tight Lines Fly Fishing in Parsippany NJ, a full-service fly shop. They have fallen in love with the Upper Delaware River system, specifically the Beaverkill River, famous for its trout fishing.In order to share this beautiful and abundant river with fisherman of all experience levels, they expanded their business to include fishing and casting schools at Tight Lines North, located in East Branch NY. 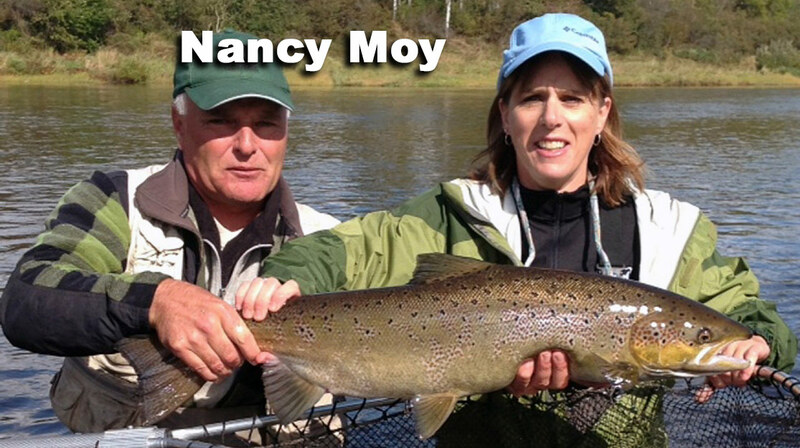 Over the past 9 years, Nancy has developed a devotion for Spey casting and fishing for Atlantic Salmon and Steelhead.She has fallen in love with fishing Oregon, Montana, BC, New Brunswick and NewFoundland.She is always ready to share her enthusiasm and passion of the sport. 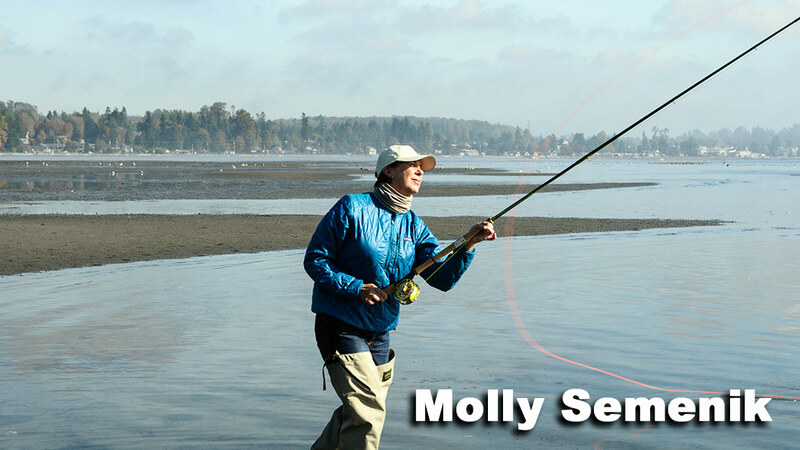 Molly started teaching fly-casting back in the 80’s after she left the Midwest and landed in Utah. In 2000, Molly and her family moved to Livingston Montana where she began a 15-year guiding/outfitting career. 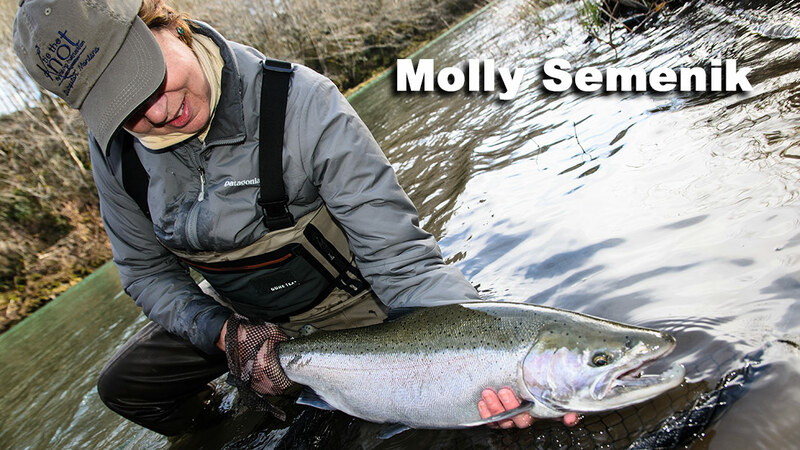 During this time, Molly started Tie The Knot Fly Fishing, became an outfitter and Master Certified Casting Instructor through the Fly Fishers International. Another move took her further west to Birch Bay Washington. A Two-Handed fly rod is now her go to method in the PNW. Molly is currently on the Casting Board of Governors and Board of Directors of the FFI. Along with casting instruction and women’s destination travel, Molly is the author of 25 Best Off-the-Beaten Path Montana Fly Fishing Streams by Stonefly Press.